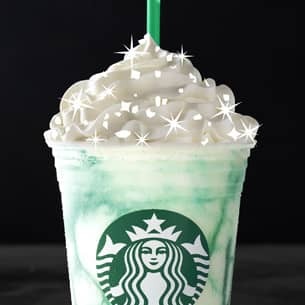 A mystical, turquoise peach infusion Frappuccino® Crème blended beverage topped with peach flavored whipped cream and one of three different candy gems that reveal your fortune. Order, gaze, then all will be told. And while we can't predict what your gems will reveal, we can tell you this drink is only here for a few short days.